To outfit the developing requests and necessities of our clients, we have concocted a wide exhibit of Tricycle Battery. Inferable from their unwavering quality, longer life and adequacy, these offered batteries are gigantically requested. Also, these are sternly tried before at last getting conveyed at the premises of our clients. Too, these could be procured at spending plan neighborly rates. Incorporated in the year 2012 at Delhi, India, we “Capital Battery Company” are prominently ranked amongst the topmost traders & suppliers a wide range of a comprehensive assortment of SMF Motorcycle Batteries, SMF Automotive Batteries, E-Bike Batteries, UPS and Emergency Power Backup Batteries. 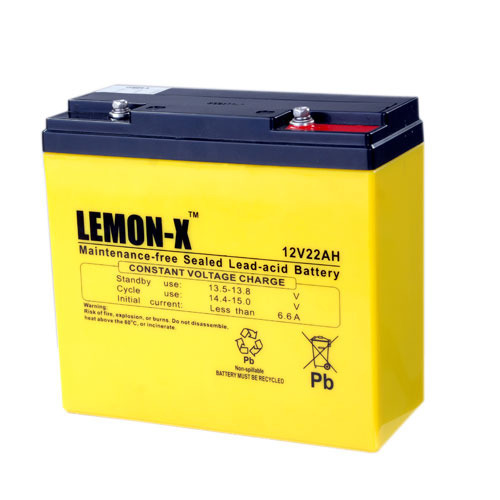 Our Batteries are belongs Lemon-x brands. Our offered products are manufactured by our trusted vendors in their advanced manufacturing facility using optimum grade raw material and progressive technology in complete compliance with universally accepted norms of quality. Further, the offered range of products is thoroughly examined against various quality parameters before supply by their highly skilled quality inspectors using the advanced testing tools and equipment. These products are widely appreciated by our esteemed clients for their consistent performance, easy maintenance, rigid construction, enhanced service life, reliability, compact design and high power retention strength. We also provide these products in various models, sizes and other specifications, in order to meet the variegated requirements of our valuable clients.